2015 was a big year for us–we moved into our first home and didn’t waste any time getting started on projects! I have to say, I’m a big fan of home ownership so far, even though it has its drawbacks of having to pay for all your repairs and such. But I love the ability to change whatever I want and knowing that the improvements we make will hopefully be an investment as well. So here are my best projects from 2015! 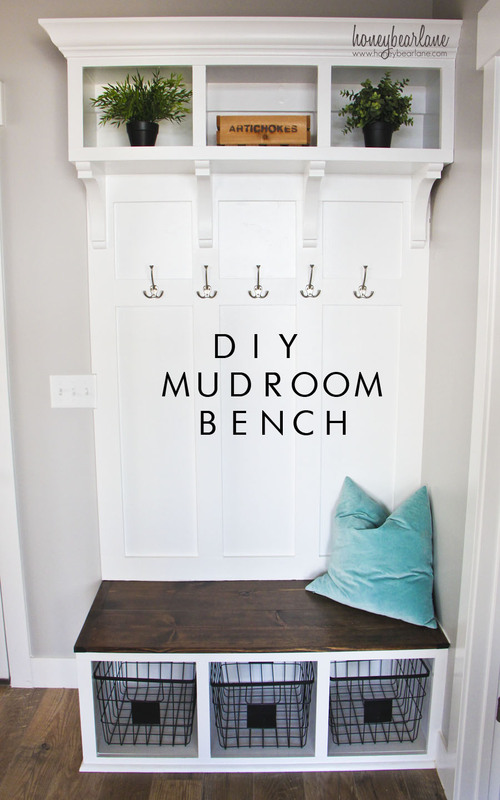 The first big project I did was my DIY Mudroom Bench. This was such a milestone for me in my woodworking abilities. 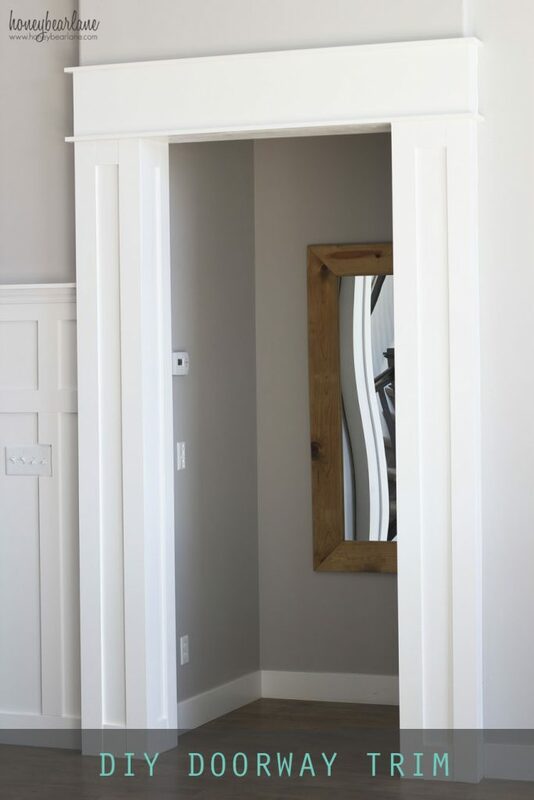 I planned and executed the entire thing by myself and it included first time things like removing baseboards, building cabinets and face frames, and installing crown molding. I was super proud of it. 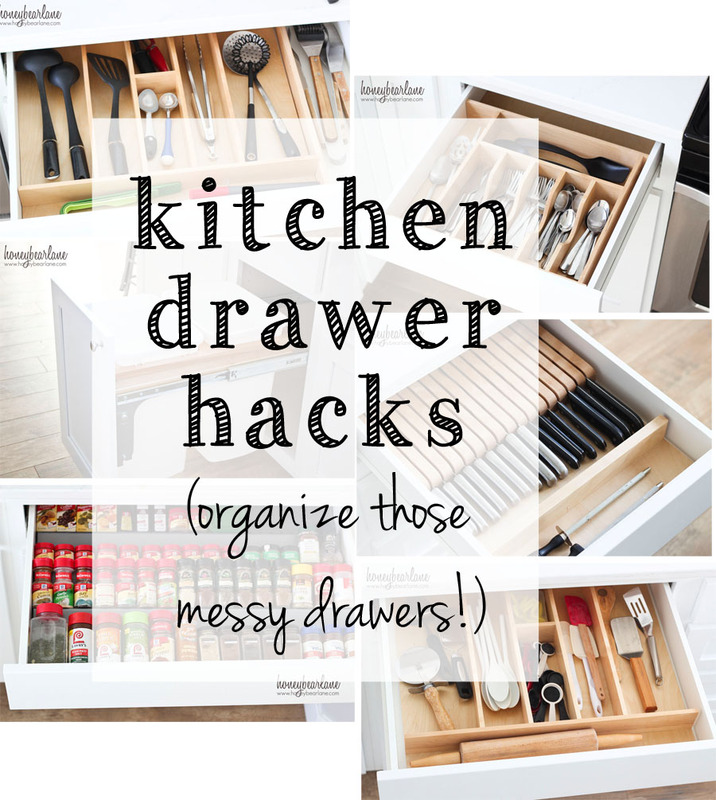 It’s also been extremely useful and is usually loaded down with coats and backpacks. Someday when we have the money, we will probably rip out the entire area by the garage and make it a bit more practical, but this is great for now. 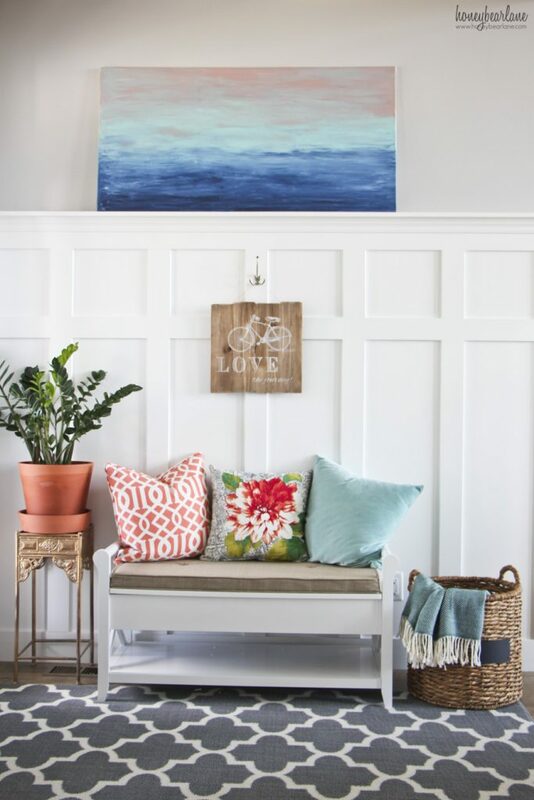 The next project was my entry way board and batten. This was the first of many board and batten in my house but I completed it along with framing out the doorway into the master suite. One project I want to share is something that might seem insignificant but it really helped us out. 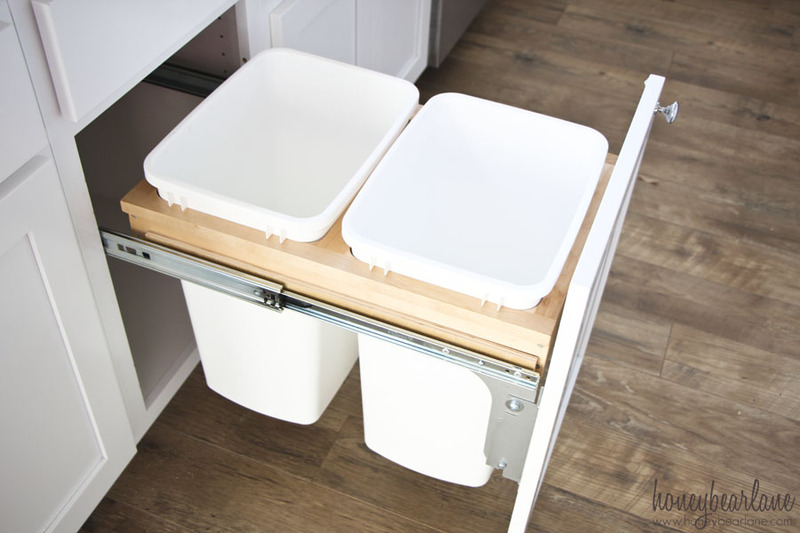 In February we installed a pull out garbage can and added custom inserts into the drawers in the kitchen. This was an amazing help in the kitchen and made me feel like a real grownup. It’s so pretty and organized now! The next project was extremely tedious and hard because of all the angles and cuts. 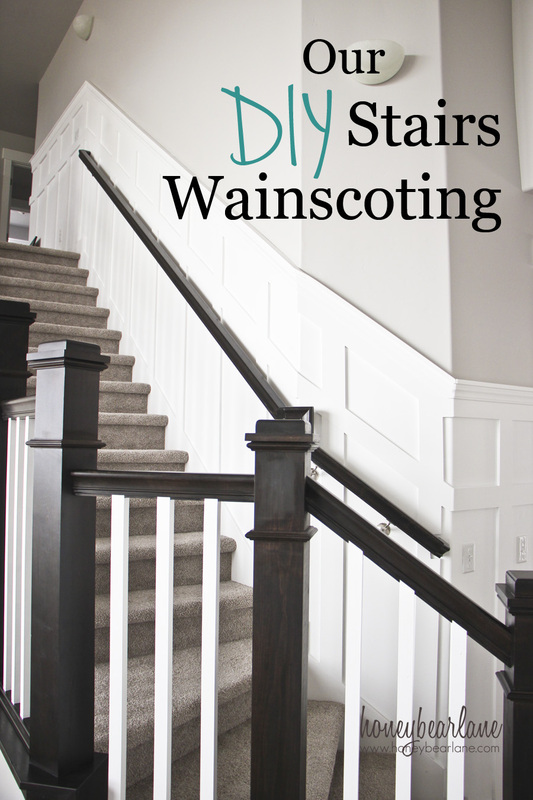 I did stairway wainscoting which was very worth the time but I hope I never have to do it again. Whew! We also painted the balusters on the stairs which I haven’t written about yet but I will. That was another labor of love! 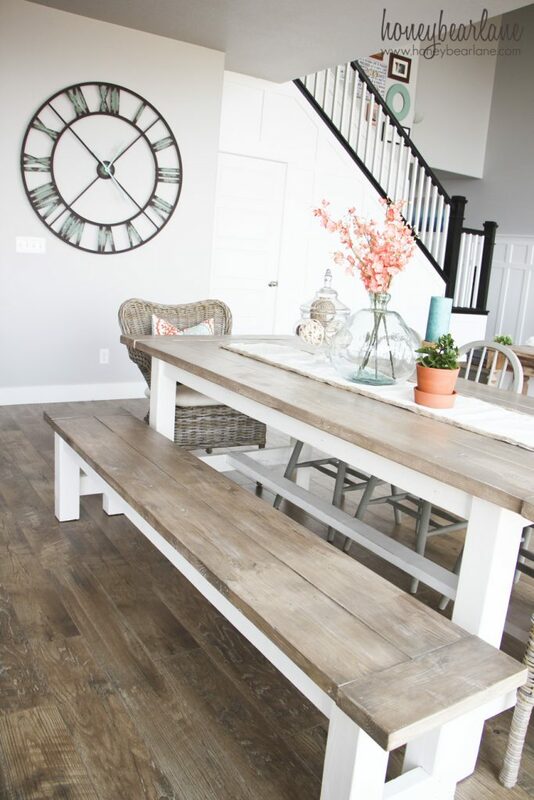 My next big project was a summer goal: build a new farmhouse table and bench. I searched for about six months to find an affordable large table in the style I liked, and the there were no options. Everything I loved was at least $2000. 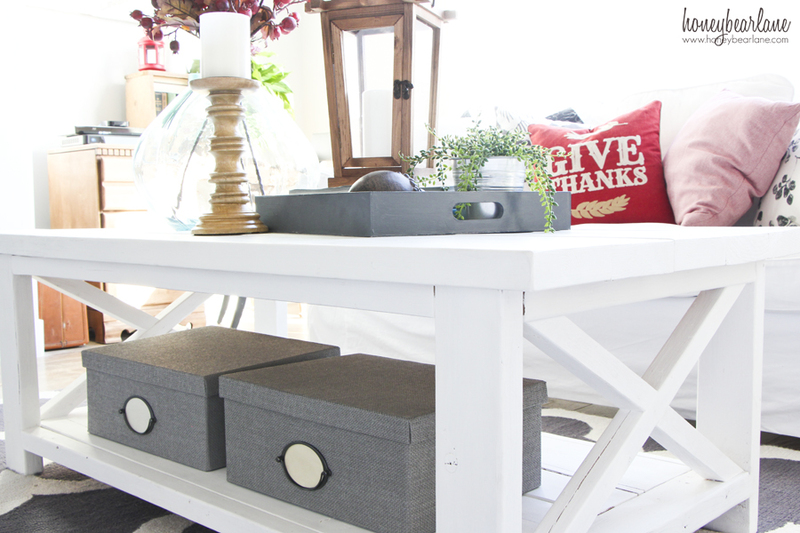 When I studied out the cost of a DIY table, I realized I could do it for under $100! It was intimidating, but once I practiced doing notches a few times, I gained the confidence I needed to do the entire thing. And turns out, it wasn’t really that hard! Lifting the heavy tabletop was hard, but I had my husband to help me with that. And yet again, building this table and bench gave me more confidence in my abilities. My next project was Ellie’s bedroom. She has such a cute room, but I was on a time crunch so I only had a week to do everything I needed to do. 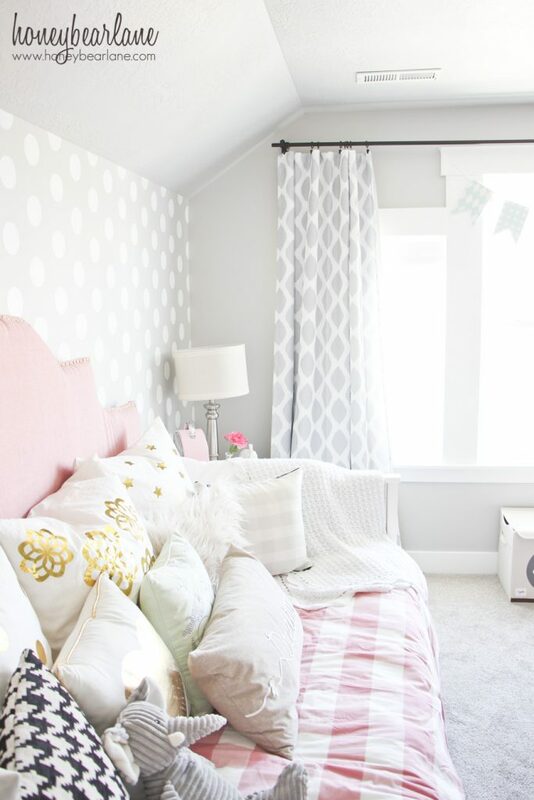 I painted one feature wall with a polka dot stencil, built a custom headboard, and trimmed out the window. I also created some custom gold foil pillows and hung new curtains. I really like it for now, but we are actually going to switch my boys and Ellie into each others rooms so my boys bunkbeds can both be on the ground. So looks like a lot more kids room decorating is in my future! 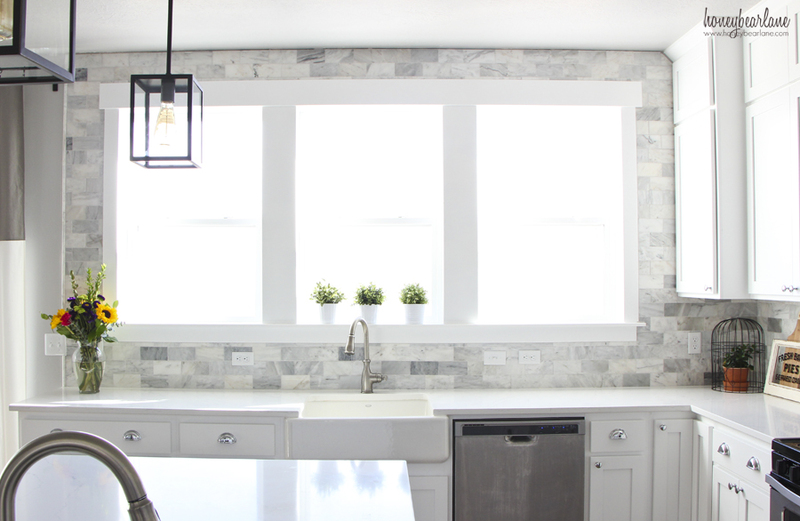 September came and I was going to throw a craft night party so I decided to tackle the kitchen backsplash project. This was very time intensive and laborious, but yet another skill to add to my utility belt. I am super glad I did it but if I can avoid tiling in the future, I just might! It’s slow going and messy, but doable. Of course few projects will be as large as this kitchen backsplash was. I still have to add some molding at the top to finish it off…such is the life of a DIY home owner. You get 98% of the way done and then call it good. Ha! One other project I almost forgot was my farmhouse coffee table. This was a tricky build because the 2x2s I bought weren’t very straight. 2x2s in the lumber section are almost all crap. But I just got a table saw for Christmas so from now on I will rip 2x4s down for 2x2s. 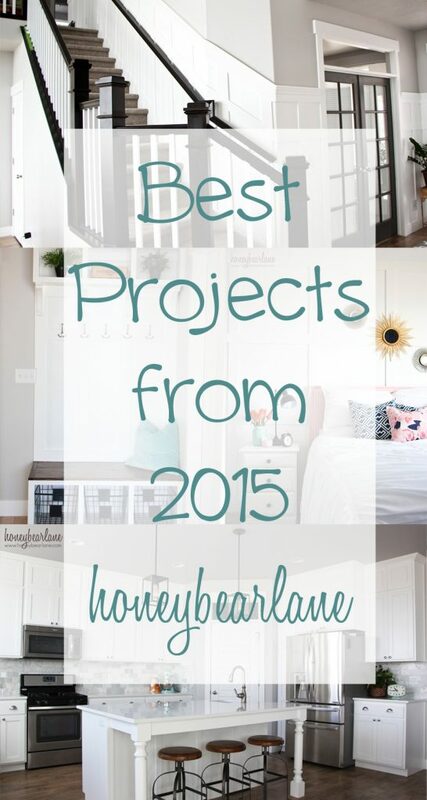 These were my best projects for 2015, and there’s lots in store for 2016–I can’t wait! 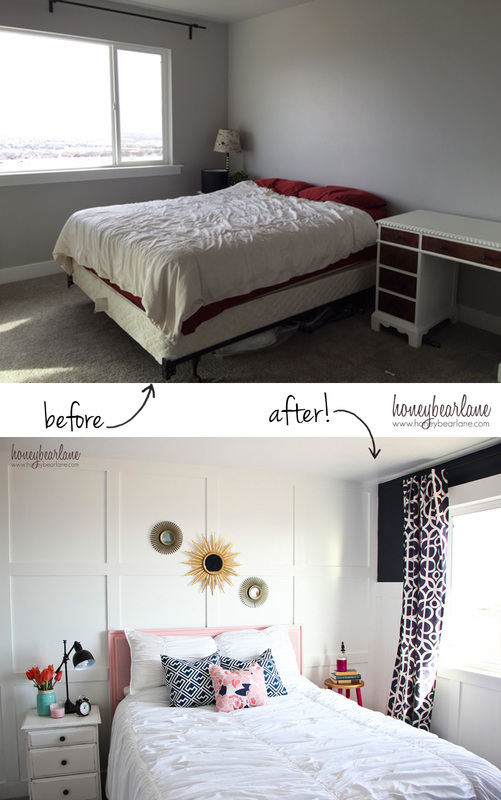 We have a master bedroom overhaul, built-ins galore, and more kids bedrooms along with plenty of other side projects. And of course, the biggest project of all, coming May 2016! Thanks for being such great readers and continuing to come back to this little blog of mine. I’ve been at it for 5 1/2 years now and we’re still going strong! I feel so blessed and lucky to have this be my business and to be able to connect to so many DIY and home decor lovers like myself. Have a happy new year! We have almost the same home! I have been looking at all your projects just to see how you decorated it! Wow! I’m so impressed with all your hard work! We too love to tackle home projects. So I love your hardwood floors in all the pictures. Can you tell me what kind they are and the width of the planks? We have pine floors and they are too soft for everyday life. They show every ding if you accidentally drop anything !! Would love to hear if your floors are durable ? Thanks so much! My floors are laminate! I love them so much…they don’t show hardly any dirt and are super durable. I love your floors in all of these pictures! Could you please share with me all of the details about your floors? Brand, color width etc? Thank you!! Omg, you are my inspiration to tackle all my projects. Love what you are doing.